Next Fela Kuti: 20 years ago (August 2, 1997), the world lost Afrobeat icon and Nigerian music legend Fela Anikulapo Kuti. Since his death, very few artistes have been able to step inside his shoes. Fela wasn’t just a musician. Wikipedia describes him as a human rights activist, and political maverick. At the height of his popularity, he was often hailed as one of Africa’s most challenging and charismatic music performers. His sons Femi and Seun have done well to carve a niche for themselves. Both are world renowned musicians with Femi even breaking a long standing record for the longest held musical note as he played a single sax note for over 51 minutes. So A List Has Been Set Up Of Musicians Who For One Reason Or The Other Stand A Chance Of Attaining The Level Of Influence Fela Had And Still Has In The World Today. 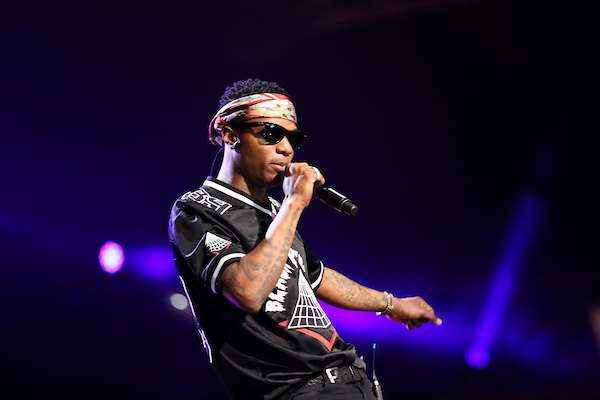 No other Nigerian musician currently has the appeal internationally like Wizkid does. Since he signed a record deal with international record label Sony/RCA, his career has reached almost stratospheric levels. Before he even ‘blew’ on the international scene, the Starboy CEO has already worked with Femi Kuti on the track Jaiye Jaiye. His music doesn’t necessarily take on societal issues like Fela’s but due to his current reach and his dress sense (sometimes), Wizzy heads this list.